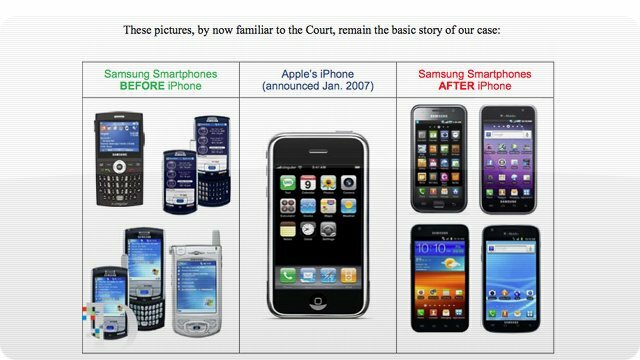 The image above was tweeted earlier today by AllThingsD’s John Paczkowski, sums up Apple’s case in one picture. Though this image does look convincing, it should not, reason being the original iPhone was unveiled in January at Mac World 2007. Samsung a month later unveiled their new phone, the F700, which was a QWERTY slider and LG released the Prada range, in the same month as the fist iPhone unveiling i.e. January 2007, which looked pretty similar too. Though the F700 did look similar to the original iPhone, do you actually think the Korean’s just came up with a new phone in just one month? According to Apple, Samsung made ugly looking phones before the iPhone was introduced and a month after the iPhone launch they changed the shape all together. So the “Patent” war still rages on and on, and no one knows when it will end.